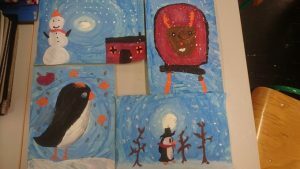 This was very enjoyable. 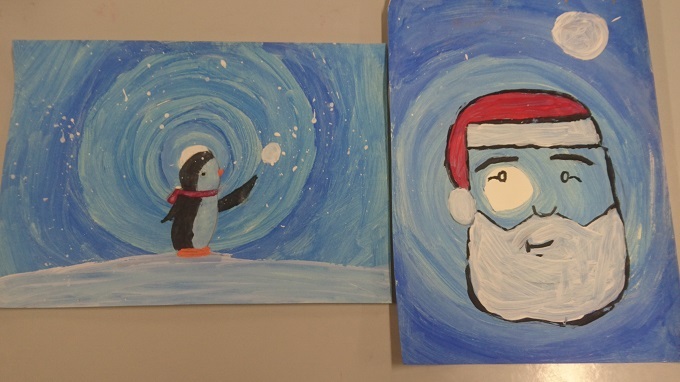 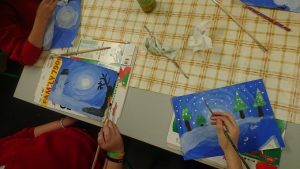 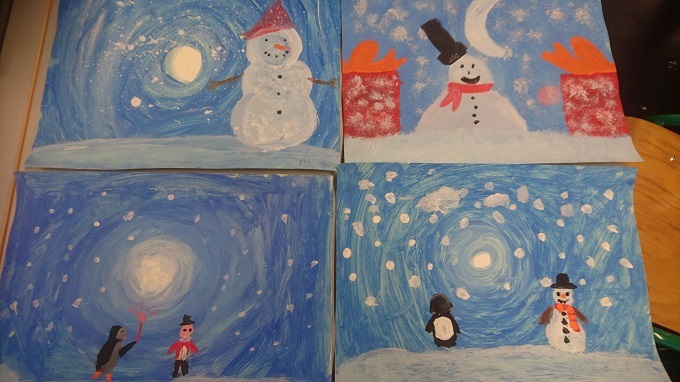 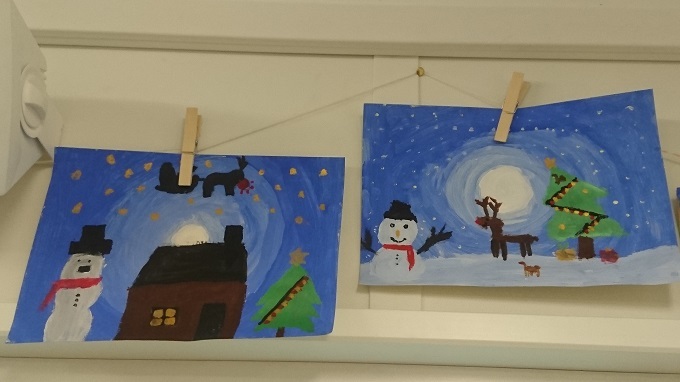 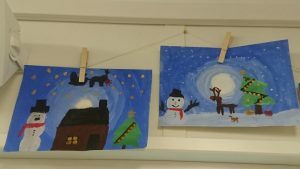 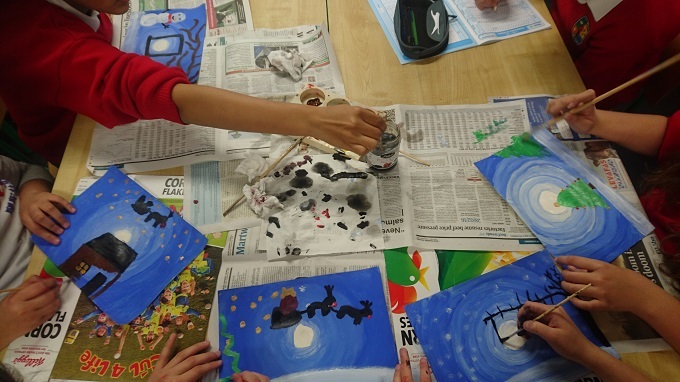 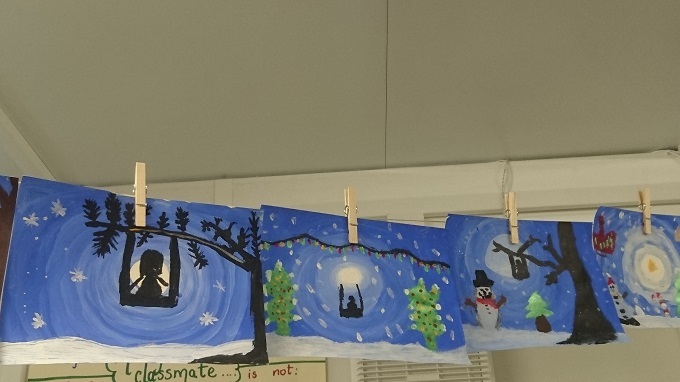 We painted the background in shades of blue and completed the paintings using Christmas images. 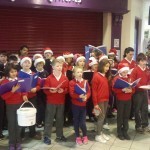 Snowmen, Santa, Robin, Christmas trees and penguins.